A WORKER has died in a trench accident on a Melbourne building site this afternoon. Emergency services were called to the workplace incident in the Victorian town of Wallan just before 3pm and despite their best efforts to save him, the man died at the scene. 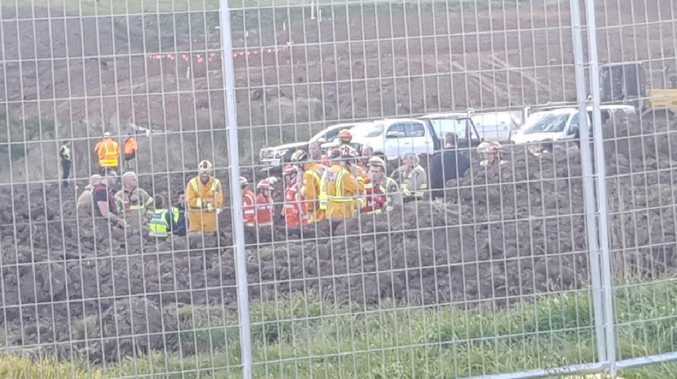 Itâ€™s believed the worker fell into a trench on the Springridge housing estate on Springridge Boulevard when the trench collapsed about 2.50pm. CFA and MFB firefighters and SES volunteers were helping to rescue the man out of the hole but police confirmed just after 4pm that the worker had died. The trench measured about 2m wide and 8m to 10m deep. Wallan is a suburb under development 45km from the city.